Varying high estrogen symptoms may occur simultaneously or one after another with differing levels of intensity and duration. 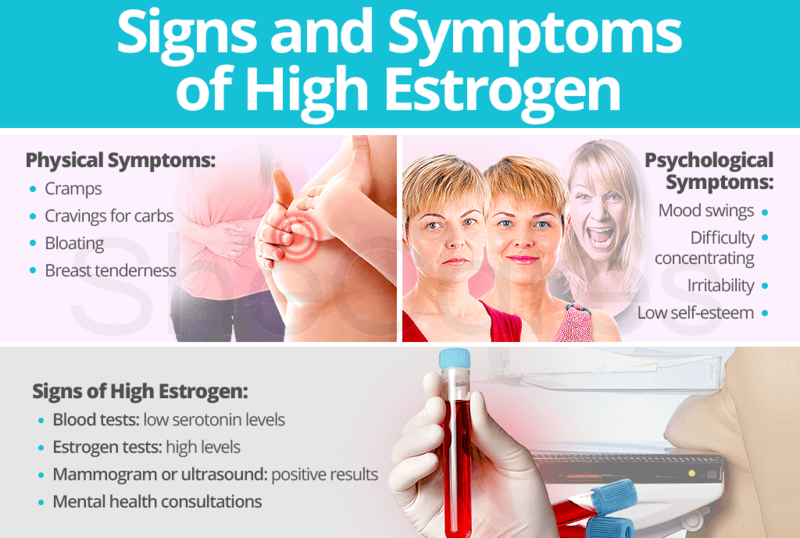 Continue reading to learn more about the signs and symptoms of high estrogen levels to prevent a constant buildup of ailments from turning more critical. Even though many high estrogen symptoms are universally associated with the transition into a woman's infertile years, they can occur at any age and are often incorrectly connected to other conditions. 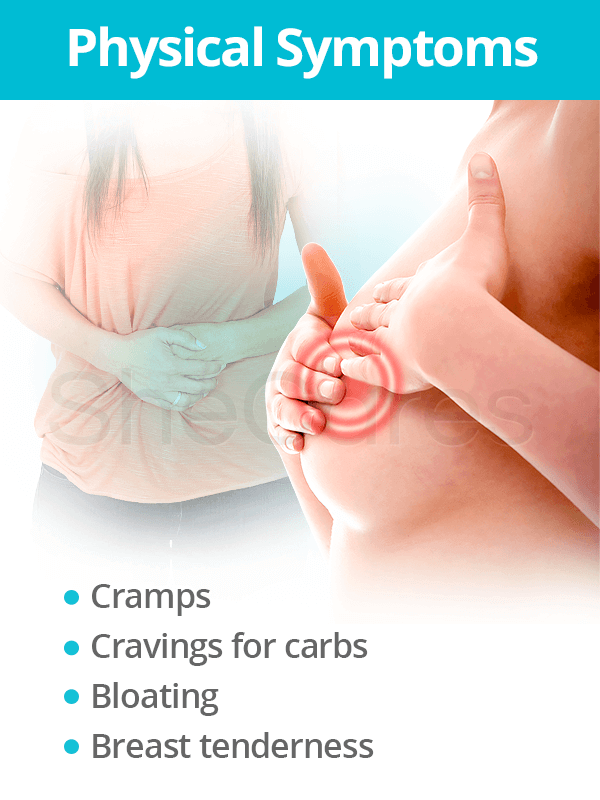 Without a doubt, the list of symptoms is diverse with the effects of too much estrogen sometimes very subtle, making monitoring levels all the more important. 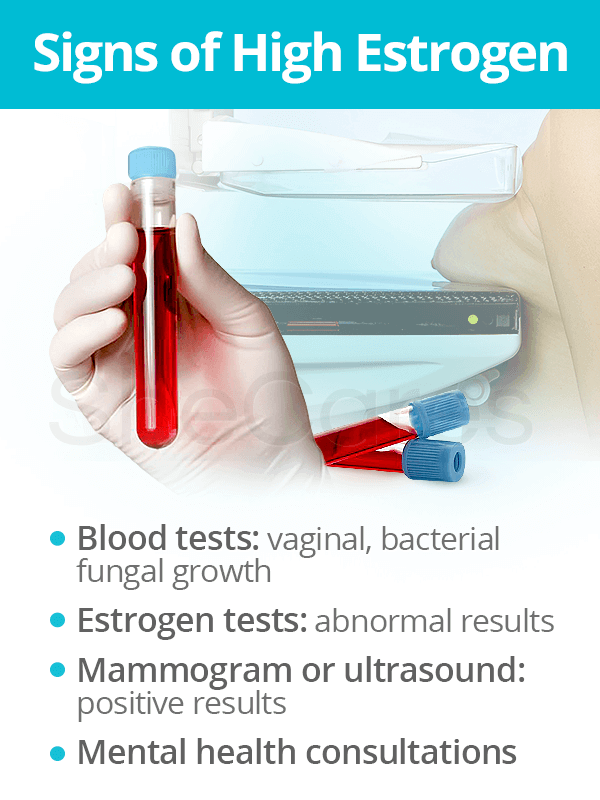 Aside from aforementioned symptoms, less common physical manifestations can also be vaginal infections; nausea; vomiting; and fibrocystic breasts while mental health symptoms include panic attacks and memory loss. Medical signs are quantifiable tests that doctors analyze in order to diagnose a patient with a certain condition. 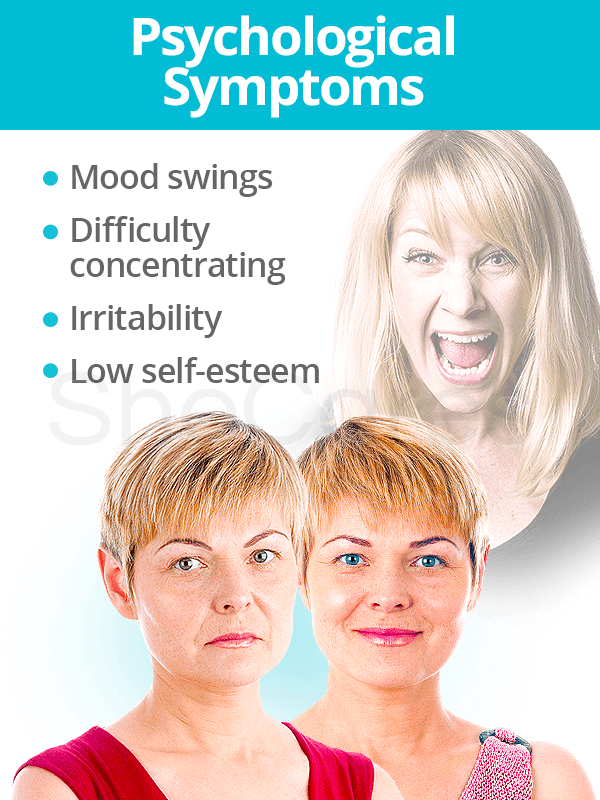 When paired with symptoms of high estrogen, these signs will help distinguish the underlying cause of the hormonal imbalance. There is a direct relationship between breast cancer and high estrogen levels. Certain types of breast cancer - such as hormone receptor-positive breast cancer - have receptors estrogen attaches to, which helps the cancer manifest. Continue reading to learn more about lowering estrogen levels as a first step toward preventing further difficulties. Watson, C. (2003). User's Guide to Easing Menopause Symptoms Naturally. New Jersey: Basic Health Publications, Inc. Available from Google Books.